After a well deserved break, it’s the news we’ve all been waiting for. 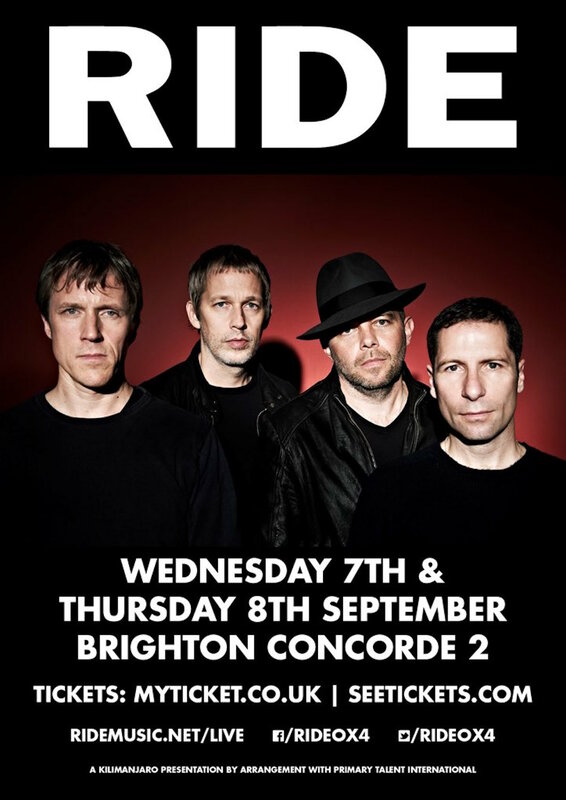 Ride have announced an additional couple of dates as a warm-up for their Bestival appearance in September. They play the tiny Brighton Concorde 2 and tickets are on sale Friday 6th May. With this fantastic news, the future gigs section of the site has been resurrected again. Hooray!